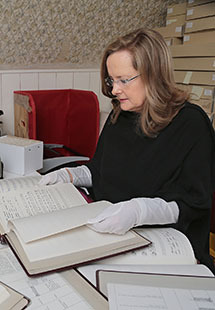 On this page you will find a searchable database of the Muckross House Music Collection. The database includes a short excerpt from each piece of music, together with some brief details of the recording. As the collection consists of several thousand pieces of music this page will continue to be regulary updated. Click below to hear Mary's account of how the traditional music collection came about.